"I wish I'd done this sooner." Access to our Facebook community of SIBO patients and practitioners - community is just as important as having the right information! Remember, with SIBO SOS, you're never alone. 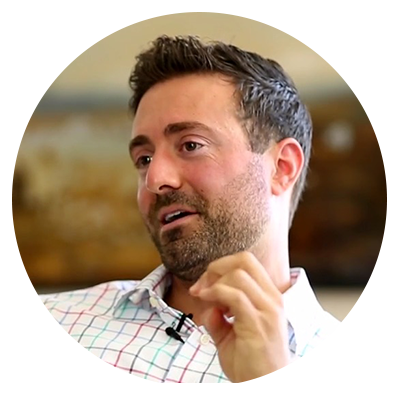 Highly-respected by patients and practitioners alike (including Dr. Allison Siebecker), Dr. Michael Ruscio is a Functional Medicine Doctor with an emphasis on natural and nutritional solutions. Fed up with the limitations of conventional medicine, Dr. Ruscio dove into research mode in clinical studies to pinpoint the exact treatment methods that give patients both short-term relief and long-term results. His methods are so successful that Dr. Ruscio now trains other practitioners on his root-cause approach. He has lectured at UC Berkeley, The Ancestral Health Symposium, and PaleoFx, and appeared as a guest on Kron4 News and numerous popular podcasts. He also recently released a new book entitled, "Healthy Gut Healthy You." What happens after you click the register now button? Next, watch for an email invitation to join the SIBO SOS™ Membership Site where you will find all the courses you have purchased. We are going to share the EXACT protocols that worked on us and many others. The event is not meant to diagnose or treat disease, nor does it replace the 1-on-1 relationship with your primary care physician. Always consult a medical professional before taking supplements and work along with them as you work on your SIBO.